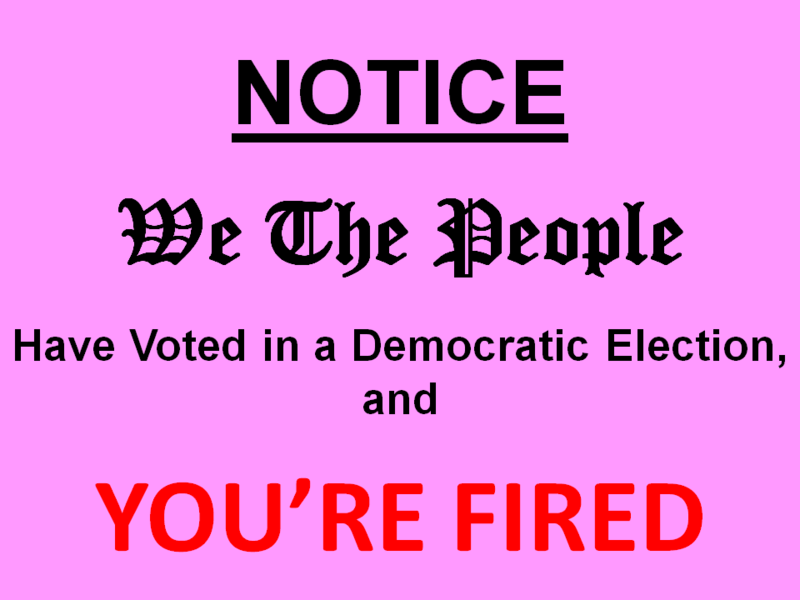 Neutralizing the pink slip of democracy. UPDATE: SB 428 and its House counterpart, HB 1033, died in their respective Judiciary Committees on May 7, 2011. The 2010 elections were a wakeup call for members of the Florida political elite who both enjoy being in the ruling class and hate the uncertainties of democracy. Some are beginning to devise ways to push back against the popular will when it comes to deciding who is or is not suited to remain on the bench. 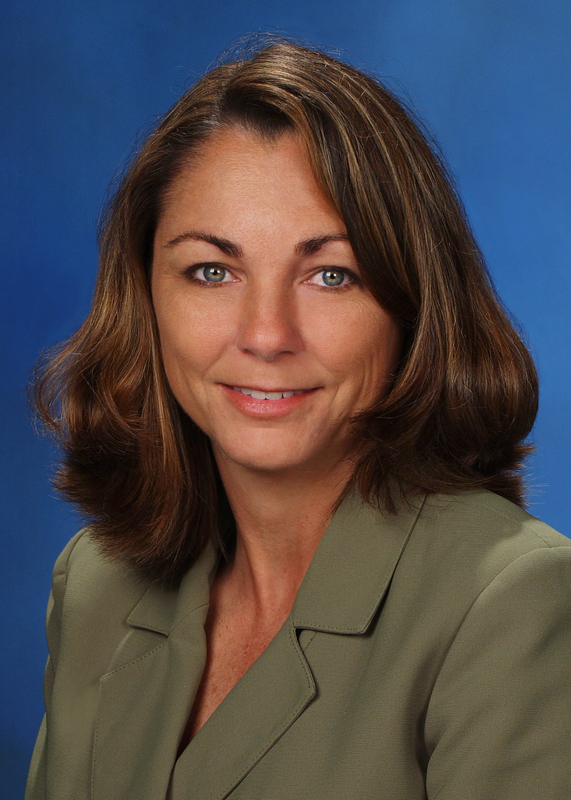 On Monday evening, February 14th (Valentine’s Day), Pinellas County Commissioner Nancy Bostock addressed the monthly meeting of the Pinellas County Republican Executive Committee (PCREC) at the St. Petersburg Marriott Clearwater hotel. Bostock, a conservative Republican, painted a picture of tough future budgeting choices for her and her fellow commissioners, but told the more than 120 assembled Republican activists that she was looking to a future where the primary budgeting concern of the Commission will not be what to cut, but how to spend the $1.6 billion in revenues they have. Commissioner Bostock made early reference to the conservatives on the commission — referred to by some as “the 3 Ns” (for Neil Brickfield, Norm Roche and Nancy Bostock) — who, with other commission members, have changed the way the commission does business for the better. Bostock told the crowd that, among other impacts of this new way of looking at the budget, millage rates for property taxes will not be going up this year, despite a budget shortfall of approximately $21.5 million. In the course of her 22-minute address, Commissioner Bostock covered a myriad of issues either before the Commission or affecting its work, including who’s up for election in 2012 (Kenneth Welch, Karen Seel, Neil Brickfield, and Nancy Bostock), the suggestion of a future storm water tax (which she opposes), usage fees for county parks, and recycling and garbage collection, emergency medical services, light rail, and other matters. Commissioner Bostock’s bottom line was that taxes are not going to be raised but the commissioners and heads of county government agencies are going to have work together to come up with ways to trim their own budgets. She also made a plea for more of the regular taxpayers (as opposed to those with special interests in the county budget) to provide their input to the Commission either in person, by letter, or by electronic means about the tough choices that lie ahead. Bostock specifically asked citizens to participate in the public hearings on the budget set for September 6th and 15th at 6:30 PM at the County Courthouse. The Republican storm continues to rise in Pinellas County, and there was no end to it in sight on Saturday night, February 12th, as Senator Marco Rubio and other Republican luminaries addressed hundreds of the Republican Party faithful at the Pinellas County Republican Party’s 2011 Lincoln Day Dinner celebration in honor of the memory of the great President Abraham Lincoln. The event, held at the Hilton St. Petersburg Carillon Park Hotel in Feather Sound, was sold to room capacity, with 550 wildly enthusiastic attendees each paying between $125 and more than $500 a seat: It would appear that the Pinellas County Republican Executive Committee (PCREC) is very much alive and is doing fabulously well. Under the stewardship of PCREC Chairman Jay J. Beyrouti, the Republicans in Pinellas County have out-fundraised, out-organized, and out-campaigned the combined forces of the local Democrats and their Progressive allies. As a direct result of the efforts of the PCREC and other conservative Republican groups, the 2010 elections saw voters trending conservative and the Republicans registered significant gains in local and state government. Although judicial races are nonpartisan, known Republicans also fared significantly better than known Democrats in local judicial races. 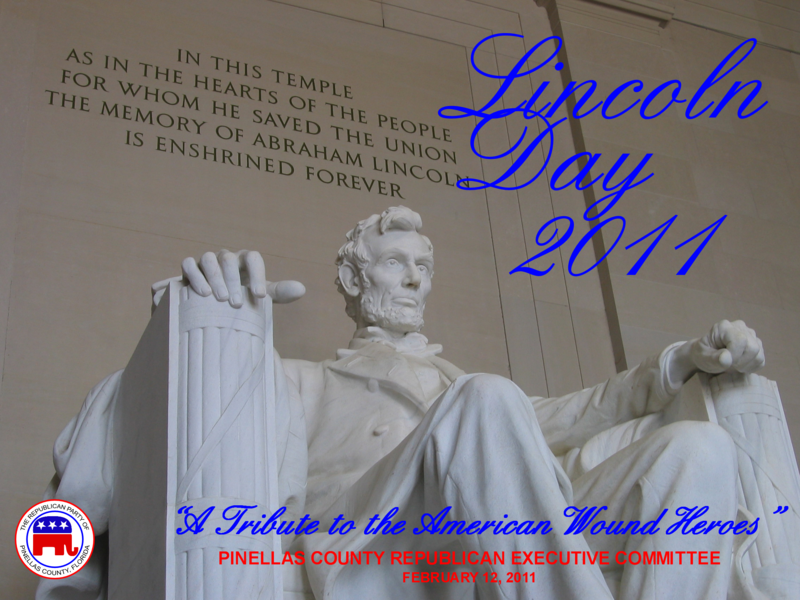 February 12, 2011 marks the 202nd birthday of Abraham Lincoln, 16th President of the United States. He was one of the greatest, if not the greatest, President the nation has ever had, and his principled leadership held the United States together in its greatest moment of national peril. He remains one of the Republican Party’s greatest icons. 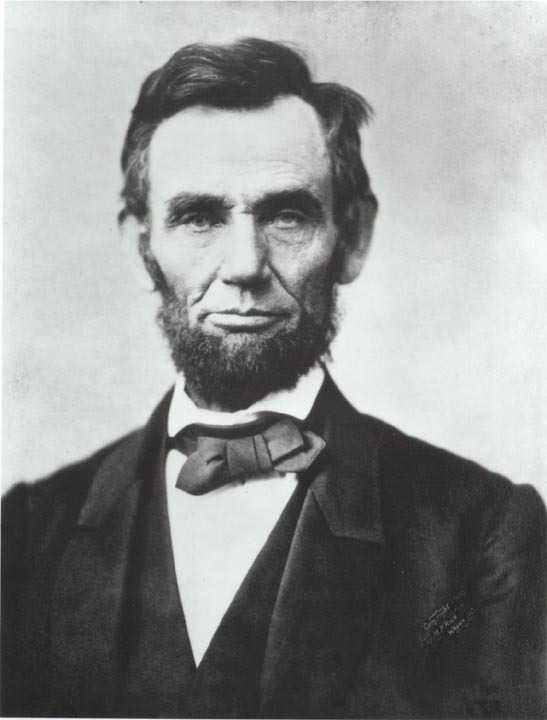 Born in a log cabin in Kentucky to a farmer and his wife who were barely literate, Lincoln overcame tremendous challenge and adversity to become, first, a successful lawyer, and, finally, the President who shepherded the United States though civil war and other national calamities. In the end, he left an America that was a stronger and better place, a nation of enduring strength of character, labor, and ingenuity that grew over the ensuing decades into the greatest nation in the history of mankind. It would be fair to say that without Lincoln, there could not have been a President as great as Ronald Reagan. One can learn a lot from studying the words and deeds of Abraham Lincoln. Republicans, in particular, can benefit from the words and deeds of this great President as he successfully strove to preserve the great American experiment in democracy. Foremost of these lessons is that America would not have survived without his determined leadership. Ronald Reagan was a man of conviction, a true leader of his nation, and one of the greatest presidents the United States has ever had. Were he still alive, Sunday would be his 100th birthday. Although he has passed, his legacy remains strong, and he remains an inspiration to conservatives who love this country and the bane of radicals on the Left who hate it. 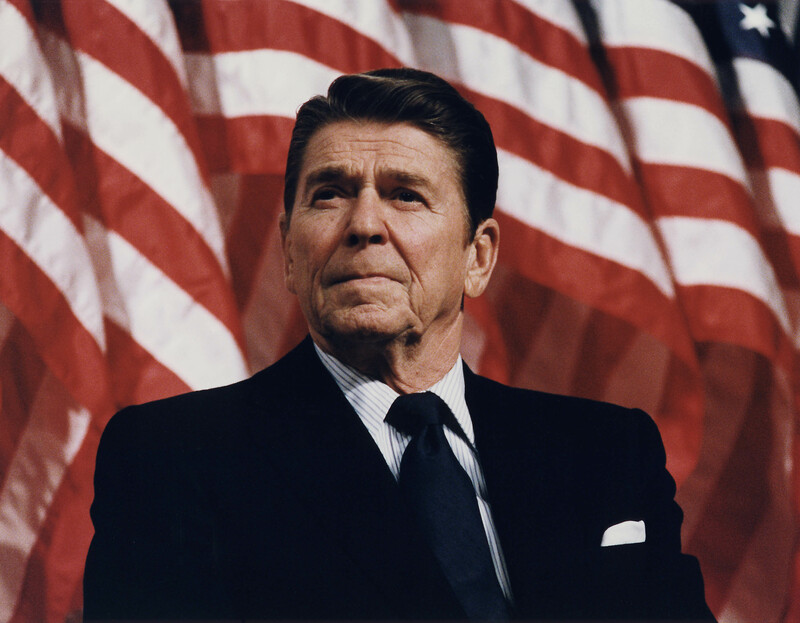 Above all, Reagan stood for American exceptionalism, by which democracy, individual liberty, and the free enterprise system combined to create the greatest nation in the history of mankind. Reagan saw America as great shining city on the hill in a world of darkness and despair, giving hope and encouragement to all those who longed for freedom. He spoke with pristine clarity about his vision of America, and he gave Americans the strength to believe in themselves at a time of crisis similar to what our country is experiencing now.